In a continuing effort to help my kiddo with her college expenses, I’m selling some of my treasures. 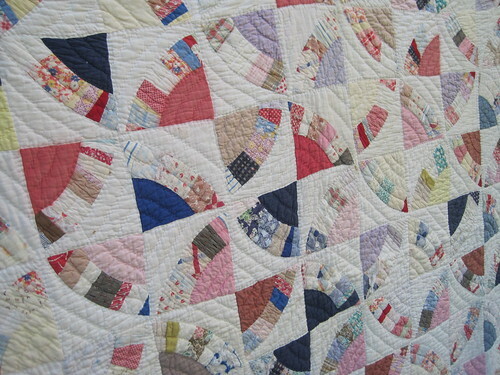 One super special treasure is this vintage fan quilt. It’s hand pieced and hand quilted and estimated to have been made in the 1930s. It fell into my hands by chance and I’ve had it on display in my home ever since. Because I could not decide on an asking price, it’s up for auction on ebay. The minimum bid is the absolute lowest I can take for it. Bidding ends in just over 2 hours and I would love, love, love this to go to a good home with someone that would appreciate it! It does have some age damage. If you’re interested, make sure you have a good look at all the photos in the listing before bidding. Reminder! 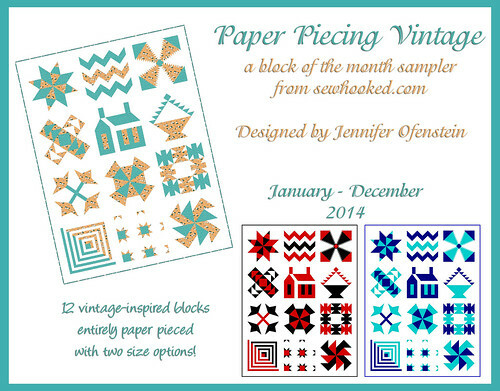 Pre-registration for Paper Piecing Vintage is now live! 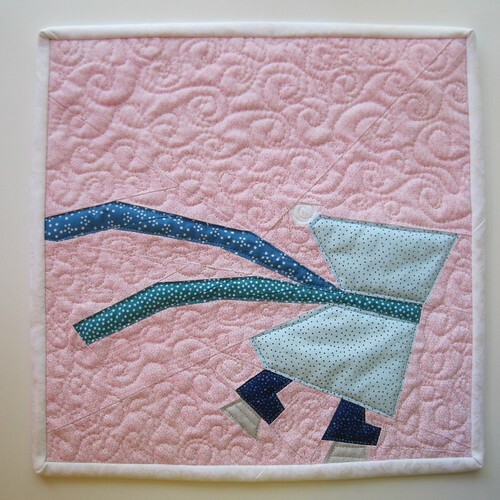 This entry was posted in shop and tagged ebay, fan quilt, for sale', vintage quilt on December 8, 2013 by Jennifer Ofenstein. It’s officially the day after Thanksgiving here in the U.S.! The leftovers are in the fridge and the countdown to gift giving for many people has begun. Black Friday? Nah, I don’t do that. I advocate a Handmade Holiday season! Want to shop handmade? Etsy is a great place to start. There are loads of talented crafters, makers and artisans selling their wares. You can even find a few goodies made by yours truly. 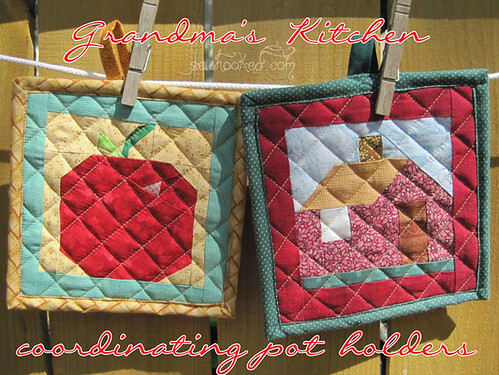 I’ve got quilted items I made myself, magazines my patterns have been featured in and I’m regularly adding scrap bags of fabric from my own stash that are perfect for paper piecing (for a limited time, of course…even Tribbles stop breeding eventually!). Sweet Skating Sue is just $19.99 and comes ready to hang. OR you can make her yourself for free. 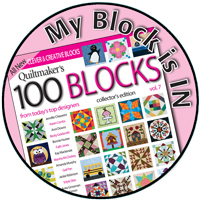 Never paper pieced? This $3 tutorial includes complete instructions and the pattern to make Sweet Skating Sue yourself! 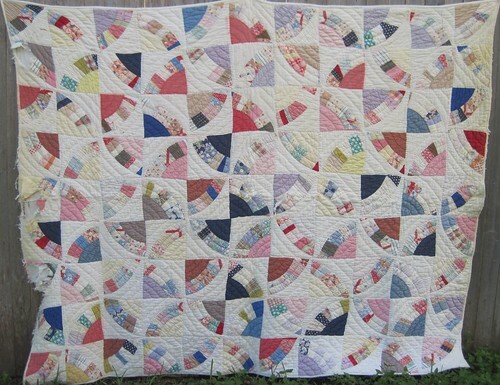 This sweet quilt is 30″ x 37″ and come ready to display or snuggle. Includes a sleeve for hanging. OR You can buy the Fairy Tale Femmes and In A Castle patterns and make your own! Find more ready-to-gift items right here in my Etsy shop! Still have plans for making lots of gifts but aren’t sure where to start? Check out all the awesome projects and patterns here on Sewhooked and my fandom website, Fandom in Stitches! Tutorials and More (this page is undergoing an update, so it’s a little crazy over there! 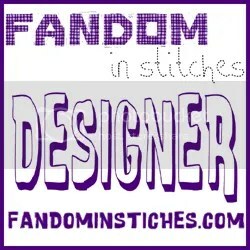 For more fandomy goodness, including even more Harry Potter, be sure to visit Fandom In Stitches. 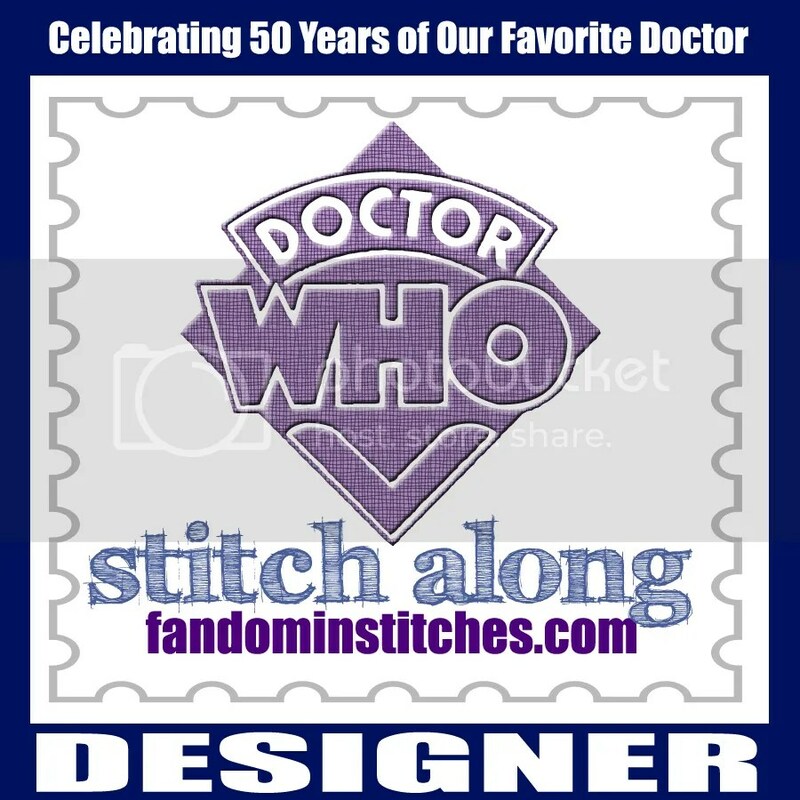 You’ll find designs by myself that are not here on Sewhooked and lots of awesomesauce stuff from many other talents designers. 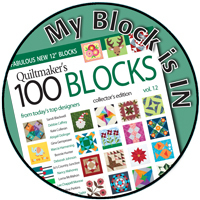 Many of my Sewhooked patterns and a few of my tutorials are now available on Craftsy for easy access! 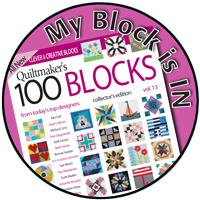 One of my goals for 2014 is to get ALL of my patterns and tutorials, both free and for sale added to Craftsy so you will always have an easy way to find them! 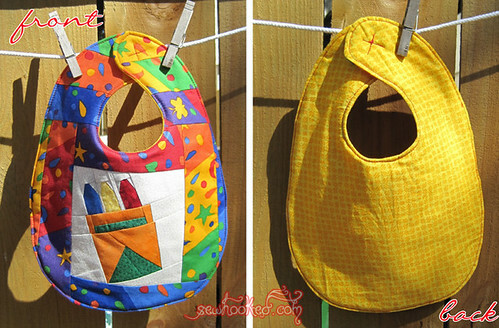 Go straight to the Sewhooked goodies on Craftsy! 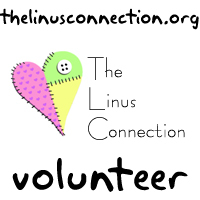 Want to learn something new and WOW your friends and family with your awesome craft-ability? 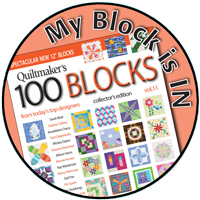 All Craftsy classes are on sale for $19.99 or less. Woo-hoo! Remember, the super cool thing about Craftsy classes is that once you buy a class (and remember, some of them are FREE), it’s yours forever. Watch any time, day or night, as many times as you like. Cool, huh?! Do you sell your handmade goodies? 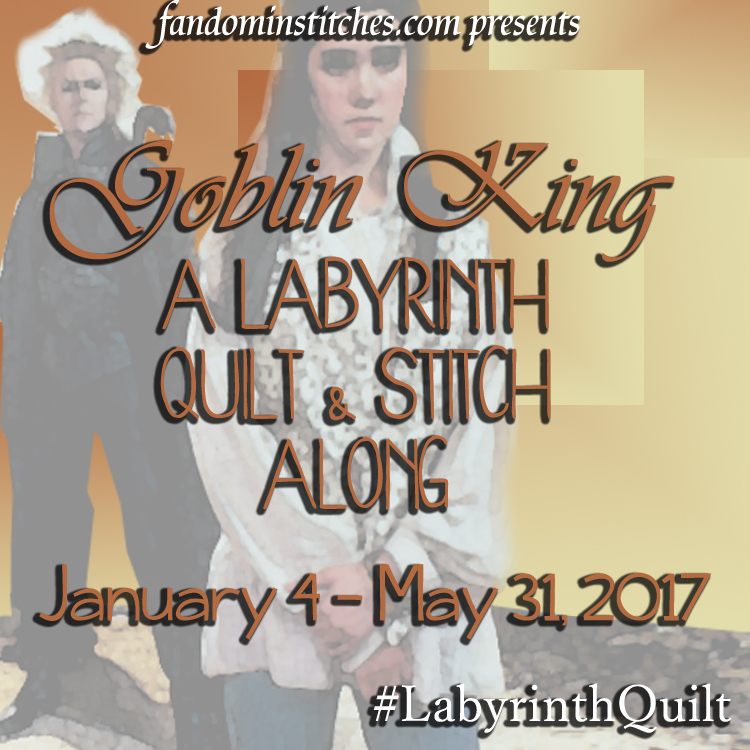 Share a link to your shop in comments and I’ll put together and epic post next week to share with all my readers! 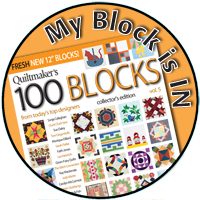 Paper Piecing Vintage: Sign-ups start December 3! 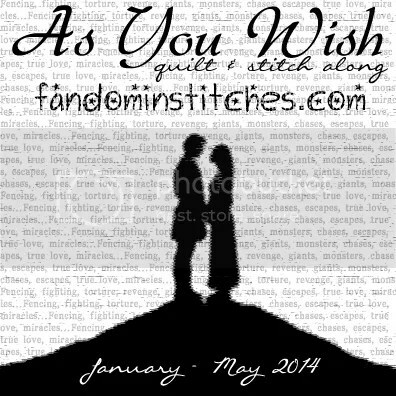 Make this one for yourself or as a gift and have it done by the end of 2014! 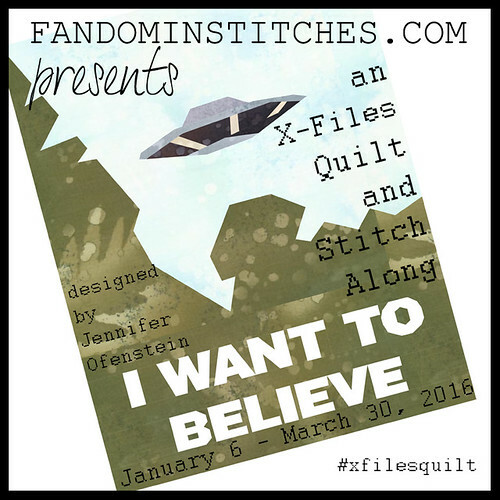 Coming January to Fandom In Stitches! Only two more days! Remember, I’m donating $1 to Movember for every Mustachio! pattern set sold during November! You’ve got until Saturday to buy your copy and help with a great cause! 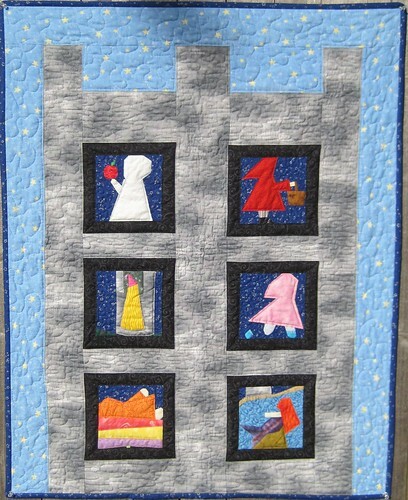 This entry was posted in Christmas, Craftsy, etsy, Holidays, shop and tagged craftsy, etsy, for sale', handmade, holiday, holiday shopping, shopping on November 29, 2013 by Jennifer Ofenstein. 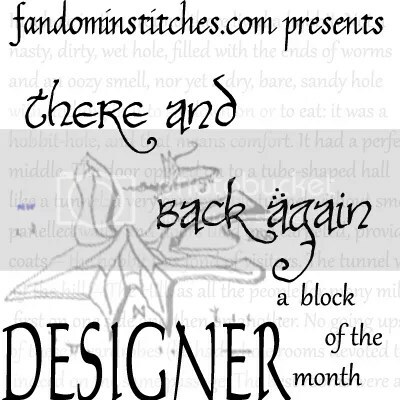 This entry was posted in etsy, talk to me tuesday, vlog and tagged bibs, etsy, for sale', greeting cards, hand crafts, potholders, sewhooked, talk to me tuesday, ttmt on July 19, 2011 by Jennifer Ofenstein. It’s been a while since I talked about my business. 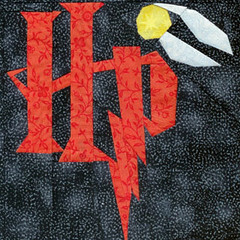 I post a lot of crafts and patterns and, of course I talk about Harry Potter (no, no…really!?). 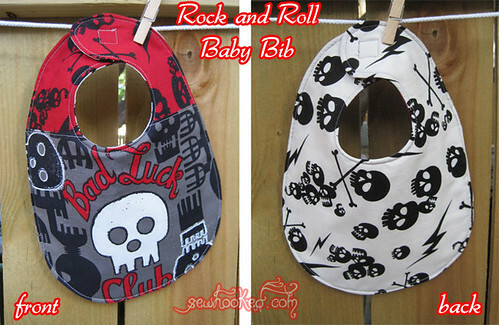 Sewhooked is not just the name of my site and business. It’s become a community of crafty people that are near and dear to me. As you probably already know, I design and sell quilt patterns. 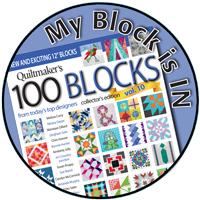 What you may not know is that I also sell hand crafted items, including custom-made buttons and hard-copies of my patterns on Etsy. All of my available patterns are ready for instant purchase and PDF download in my shop here on Sewhooked. 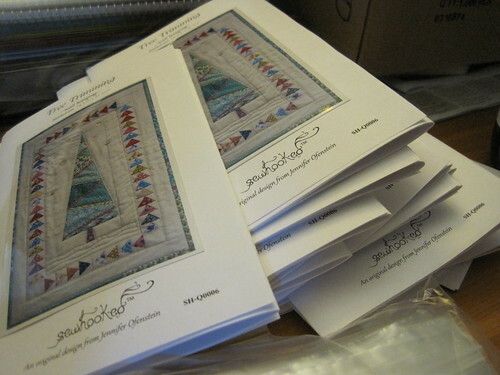 For quilt shop owners, my patterns are also available for wholesale purchase. Email me for details. After a year of working on Sewhooked part time, I’ve decided the time has come to try my hand at running my business full-time. Up until now, I’ve worked on Sewhooked whenever I have time, squeezing in minutes here and there between other things. At the end of the summer, all that will change. 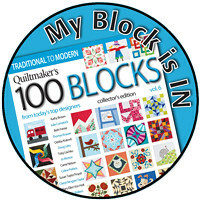 I’m leaving my part-time job at the quilt store where I work and am going to take a session off from teaching to build my inventory and focus on my business. There have been some changes in my life recently which make me feel the time is right to work hard, to work longer and to make Sewhooked everything I want it to be. What can you look forward to? Well, more patterns, for sure! Creating patterns is my first love, and there are lots of ideas rolling around in my brain, just waiting for their chance to make an appearance. 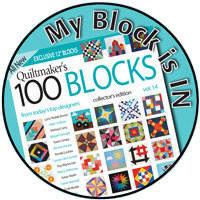 I’m tentatively planning a Block of the Month quilt for my shop next year, which I would love to be guided by those that would like to participate. 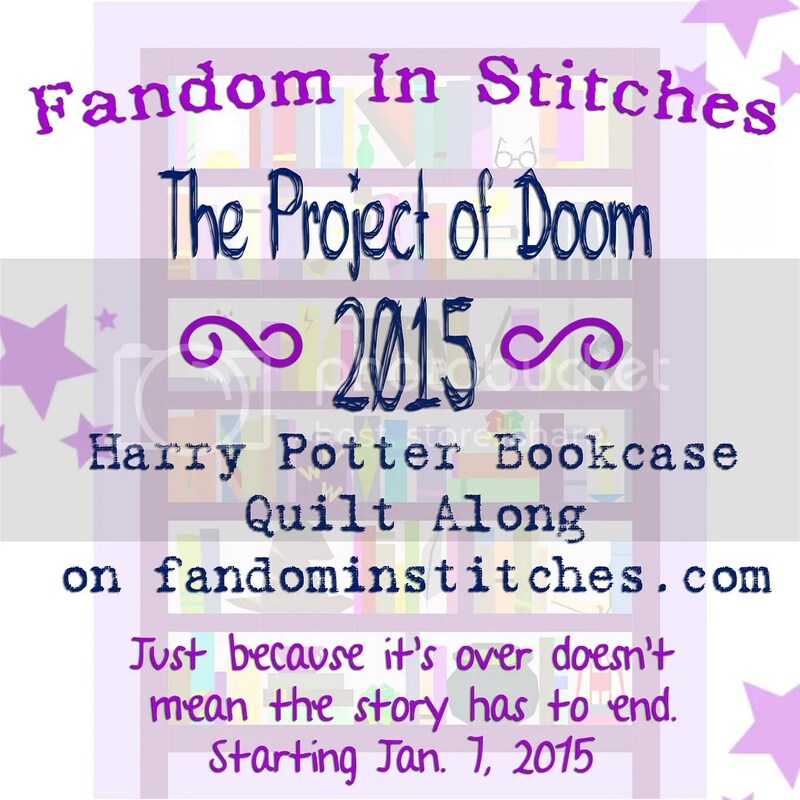 More on that once the Project of Doom has wrapped up. There will also be new hand-crafts available through Etsy. 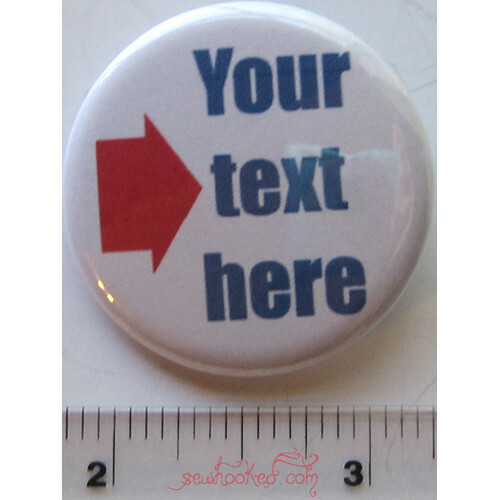 After a brief hiatus, Custom 1.5″ Buttons are back, including optional graphic design services. Soon, I’ll be adding grab bags of fabric from my crazy-huge scrap stash, as well as limited edition cards featuring photos of some of my quilts. Photos in this post include some of the items currently available for sale through Etsy. 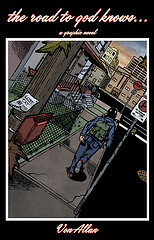 PDF Downloads are here. 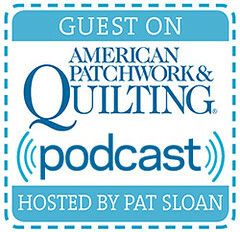 What kind of quilt patterns are you looking for? 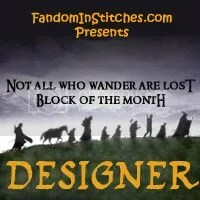 What handcrafts would you be interested in seeing on Etsy (keeping in mind that I do not sell items made from my Harry Potter and other fandom patterns out of respect to the authors/creators)? 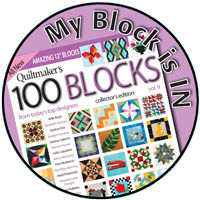 This entry was posted in -sewhooked website-, etsy, shop and tagged bibs, buttons, etsy, for sale', hand crafts, handmade, potholders, sewhooked, shop on July 14, 2011 by Jennifer Ofenstein. You may remember Handmade For The Holidays 2009, where I talked about my crafty friends that make and sell handmade awesomeness. 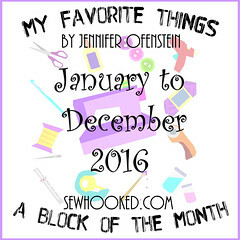 I started posting this list originally on Livejournal back in 2007 and each year I collect names from personal friends who are crafty and awesome, making all kinds of great things to sell. 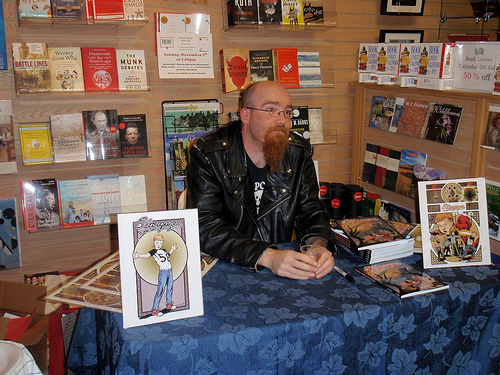 This year, I’m including an author friend because he is a very talented artist and self-published, which is, of course, awesome! I personally own stuff made by everyone on this list. It’s ALL amazing, and made with skill and love, and in the case of the books, beautifully illustrated and a joy to read. Also, I will happily continue to add the names of my friends to this list until the end of 2010, so if you should be on here and aren’t, just drop me an email! 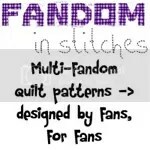 Also be sure to check out my shop and etsy store for quilting, paper pieced patterns, crochet hats and buttons! Price Range: $10-$50Int’l Shipping Available? : yes but shipping will be charged differently. Last date to order before Christmas: I’ll do my best to ship as close to Christmas as I get orders. Mail takes at LEAST 3-4 days so I can’t offer guarantees, but I promise to do my best! Int’l Shipping Available? : Yes, just convo me for a shipping quote. 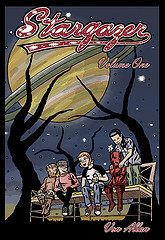 Stargazer – available online (Amazon/B&N) or in stores in January. Price Range: In the $15 range. Int’l Shipping Available? : If you would prefer not to order from an online retailer AND your local stores aren’t carrying the books and won’t order them…please e-mail. This entry was posted in Christmas, hand crafts, Holidays and tagged christmas ideas, crafts, for sale', gift ideas, graphic novel, handmade, holiday, holiday shopping on December 7, 2010 by Jennifer Ofenstein.